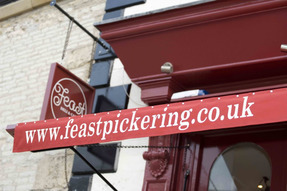 Feast of Pickering, Cafe, deli and take away service. Pickering, UK. 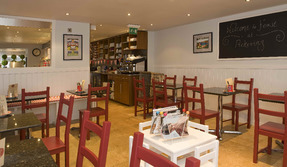 The shop is stocked with Yorkshire produce where it is the best both from a taste point of view and a sense of economy. 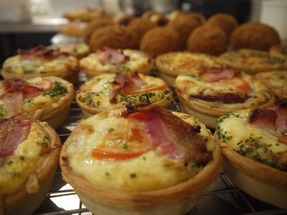 Feast is a café and take away service. Anything from full Yorkshire to eggs Benedict. Also daily specials with hot dishes are available. Homemade cakes and afternoon teas.